Friday Faceoff – Everybody’s got haters, but your city’s always behind you. This meme was started by Books by Proxy, whose fabulous idea was to compare UK and US book covers and decide which is we prefer. 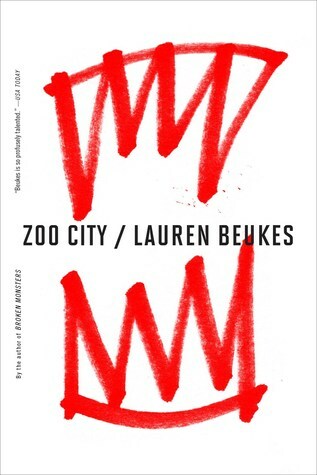 This week the theme is cities, so I’ve chosen Zoo City by Lauren Buekes. This cover, produced by Angry Robot in April 2010, is the original. 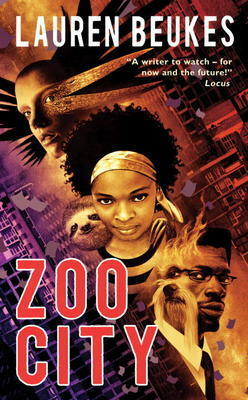 It manages to successfully depict the main characters along with their animals. I really like this one – it is colourful, eye-catching and true to the book. This amazing cover is on the book that I own. I love it – the apparently simple idea of having the font carry all the elements of the story in a striking black and white design just looks so cool. This is my favourite offering and was produced by Angry Robot in August 2010. This Hungarian edition was published by Ad Astra in April 2012. It is another strong contender – I love the way Zinzi is gazing out at us with her animal on her back. The colourful backdrop also works very well. Produced in 2011 by Центрполиграф, this Russian cover is another very strong design with all sorts of interesting allusions to what happens in the book. It also has a more futuristic feel which I also enjoyed. Published in August 2016 by Mulholland Books, this is by far the most minimal of the covers – and my least favourite. 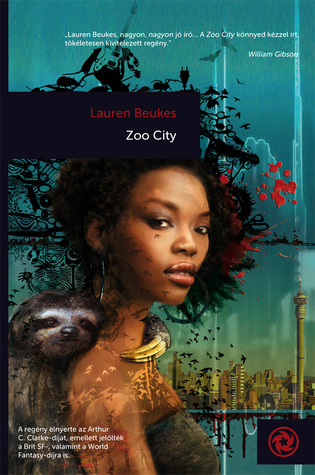 While the lipsticked teeth may serve as a crude warning about the danger Zinzi experiences, there is very little clue as to what this book is about. Which one is your favourite? I loved the cover for this and when I read the premise, I immediately requested it – I thoroughly enjoy vivid fairytale retellings..
Hansel never asked to be a hero. He never wanted to fall in love with Rapunzel, Queen of the East. He didn’t ask to be raised by Gothel the Wretch, and he certainly never wanted to be credited for her arrest. But more than any of that, Hansel never wanted to lie: but he did. He lied about everything. He thought that he was done with it all when he and his sister Gretel retreated into the woods to reclaim their land, but he should have known better. Years later, Rapunzel’s guards knock at his door, and they say the words he hoped that he would never hear: Gothel has escaped. As he and Gretel take refuge inside Rapunzel’s castle in the eastern capitol of Hildebrand, Hansel is thrust back into everything he never wanted in the first place: his lies, his legend, and his lust. In the wake of it all, he knows that Gothel has escaped to finish what she started. She is out to make sure that the Sleeping Beauty never wakes, and that Grimm suffocates under her blanket of thorn and vine. 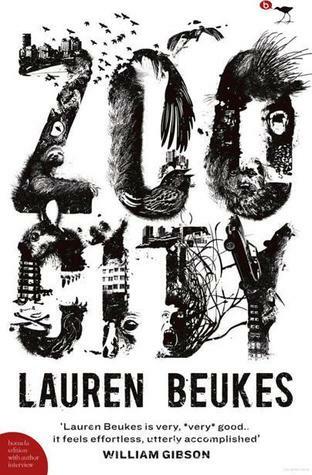 This is a really clever retelling in a dystopian world where the famous curse on sleeping beauty has riven Grimm into a series of small squabbling states. Rapunzel, the Queen, is clearly out of her depth and I found her the most fascinating of all the characters. I enjoyed the way in which nothing is as it first seems. 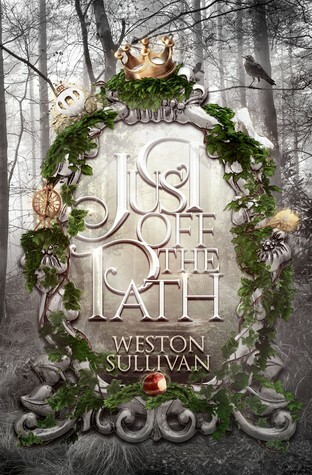 And the way Sullivan plays with established fairytale characters is both smart and intriguing. However, for some reason while there was never any risk of not completing this book, I didn’t love it as much as I had expected. I didn’t bond with Hansel, finding his constant negativity a real problem. Neither did I like Gretel very much. And as these were the two main characters who were at risk throughout, I wasn’t as heavily invested in the story as the stakes were raised and they were increasingly at risk. That said, I’m aware this is the personal preference and the other reviewers have loved this one. If I have found Hansel more appealing doubtless. I too would have been caught up in the story, which is accomplished and clever. Recommended for fans of fairytale retellings. While I obtained the arc of Just Off the Path from the publisher via NetGalley, this has in no way influenced my unbiased review.